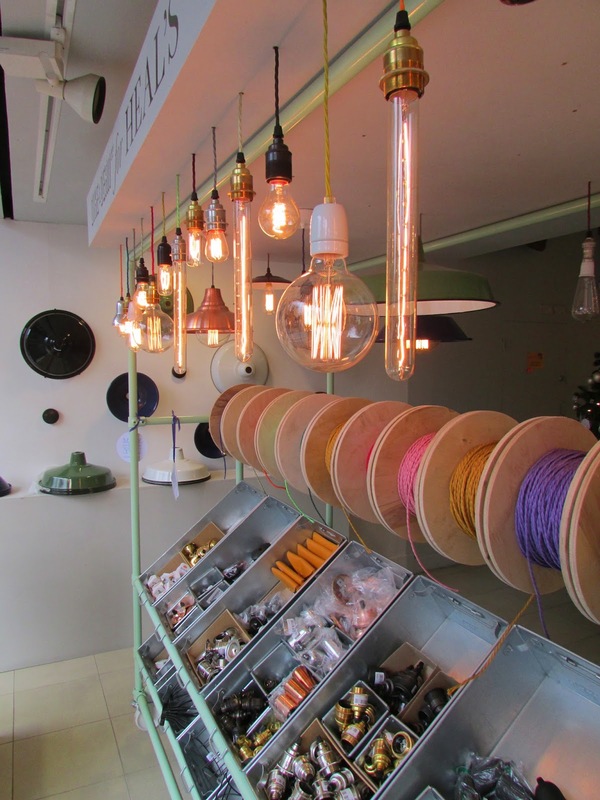 Incandescent retro-shaped lightbulbs in bare fittings hanging from brightly coloured twisted wiring seem to be the must-haves of the moment. 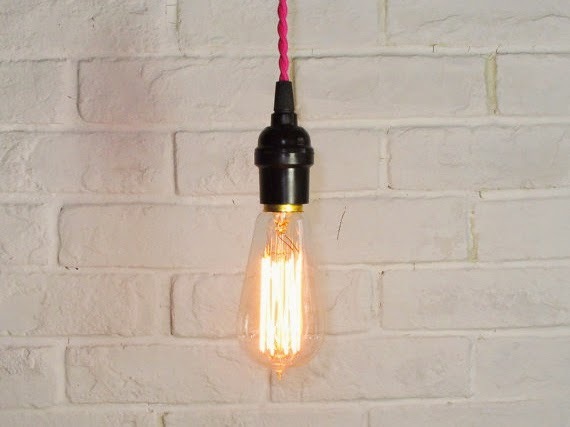 A few thoughts: retro looks always work well; and these bulbs offer a warm light colour alternative to LEDs which are getting better and better, but can't yet produce this sort of effect. Also interestingly, LEDs have not yet ventured into the market of trendy retro-look. Heal's in London are now cleverly cashing in on this trend and offer a mobile stand where you can assemble your own retro light fittings. It is part of their 'curate your own collection' approach.